Our Senior Does are from 4th to 6th Gen Purebred. They are from quality breeding lines that emphasize conformation with excellent udders and milk lines. 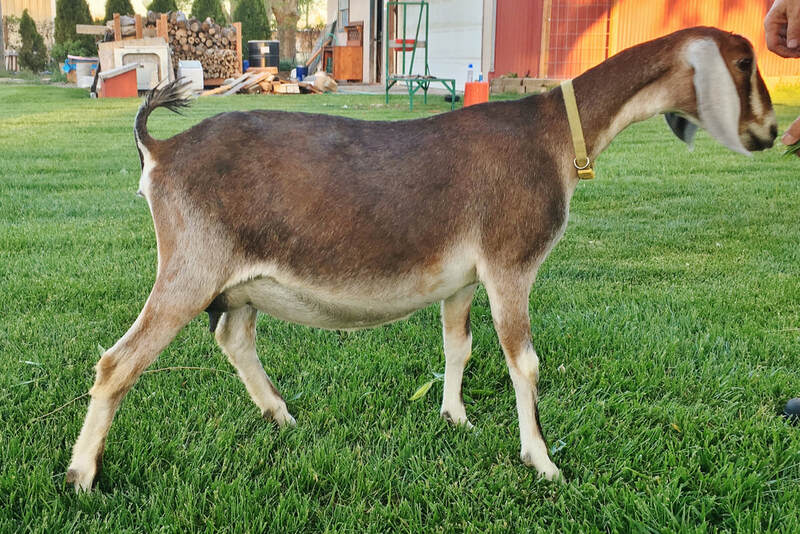 Our goal is to continue to develop the whole package in a milk goat. 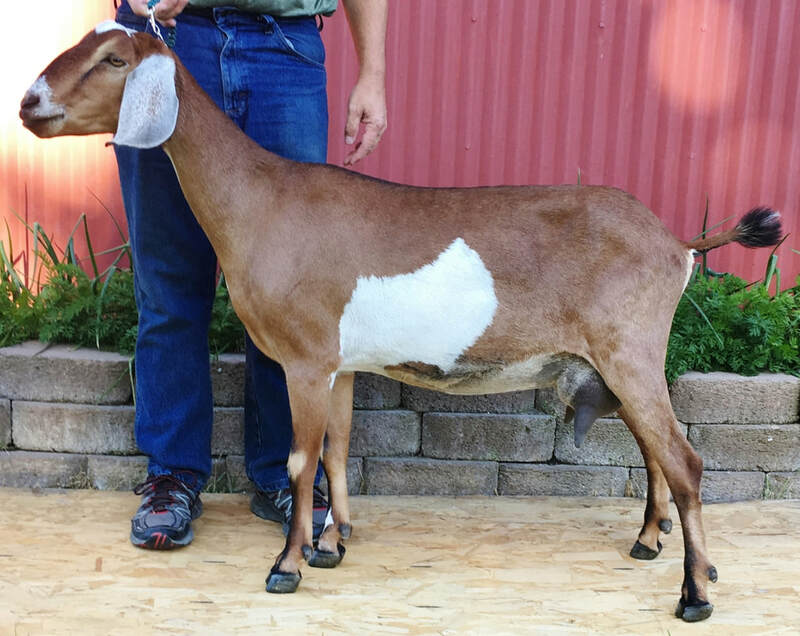 We will not compromise milking ability for looks but we are hoping to improve on all aspects of the Mini Nubian, including ease of kidding, capacity of udder, strong tight udder attachments, teats that are perfectly shaped, placed, and easy to milk. 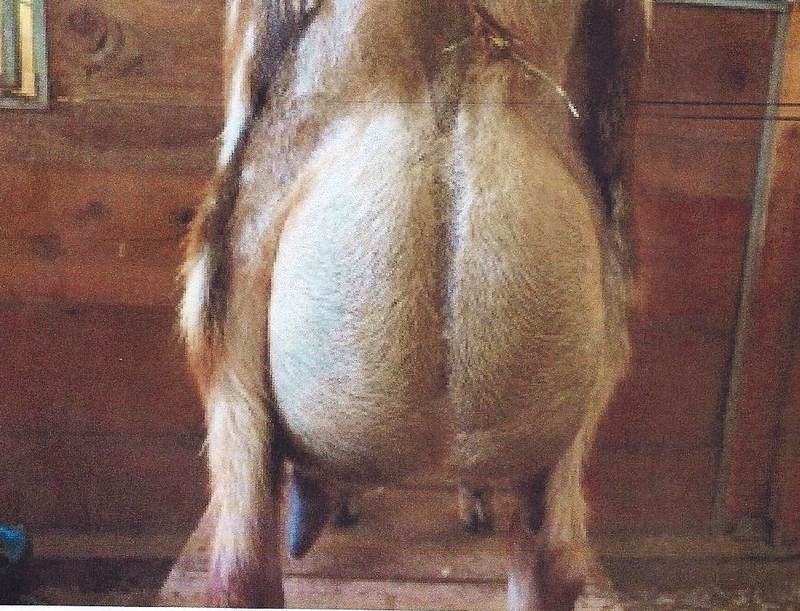 We also feel strongly about breeding sweet, calm, and gentle temperaments in all our goats. 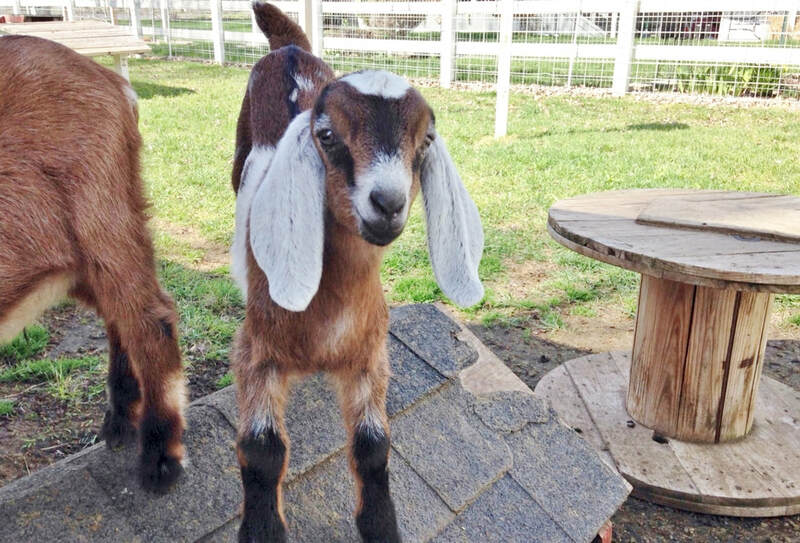 After all, we want them to become part of your family, whether you wish to use them as a breeder, a companion, or a family milk goat. Maisy is a long doe with a very sweet personality and lots of milk behind her. 2017 This is "Maisy." We are so blessed to have her in our herd. She is the granddaughter of our senior doe "Bunny." I had always planned to keep a daughter out of Bunny, but each time she had a doe I would end up selling her. This year she gave us two bucks so we decided to buy back one of her granddaughters. I believe we made an excellent choice as you can see by her pedigree. 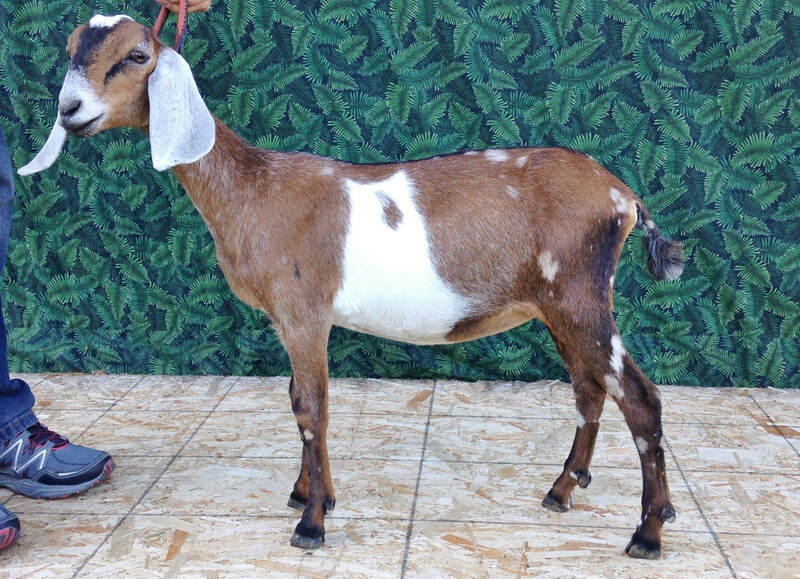 She has brought us some of Green Gables wonderful milk lines and has a lovely conformation and Nubian character. Her dam, Laz E Acre's Oopsie Daisy, freshened with an absolutely gorgeous FF udder! I will have a hard time finding the right buck to improve upon her. "When looking a the Mini Nubian Junior doe lineup, there is a doe that stands at the top for me. She is long, lean, dairy, and has a beautiful top line. She is a doe that is balanced and correct in her type with good spring of rear rib for her age. 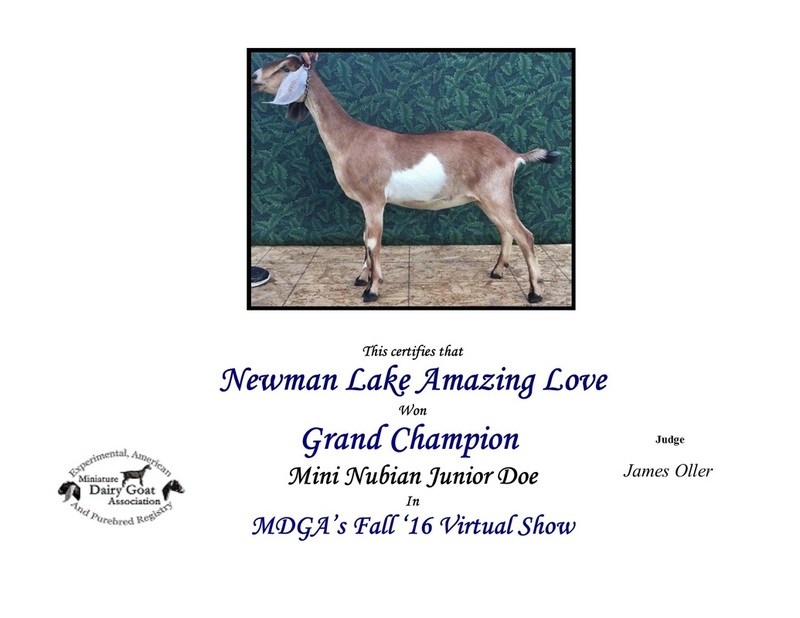 The Mini Nubian Junior Grand Champion doe will be the Intermediate kid." Maisy was really gorgeous even as a kid. Lots of Milk history and gorgeous udders in Maisy's background. 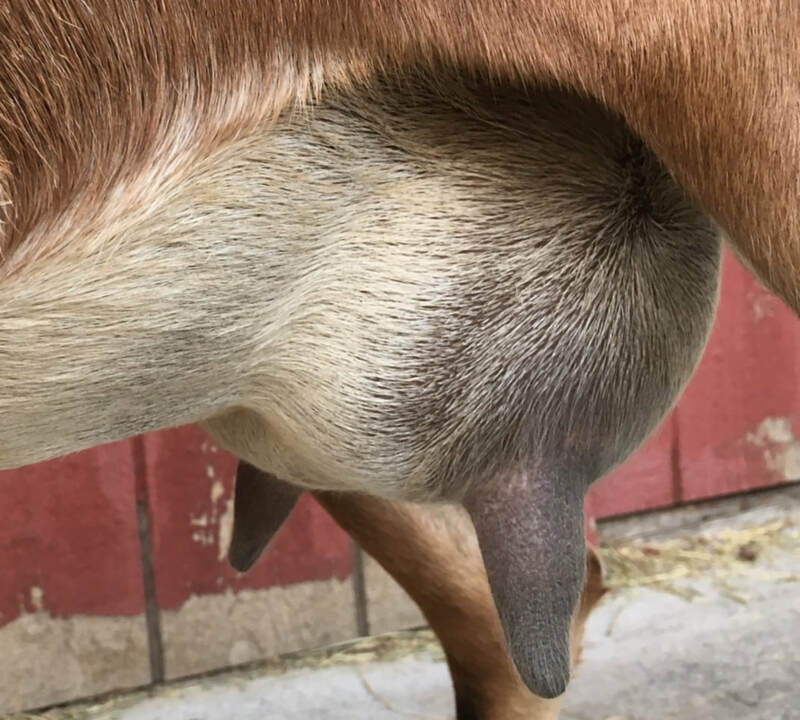 Maisy's rear udder 2019 Not full. She is nursing 3 boys. 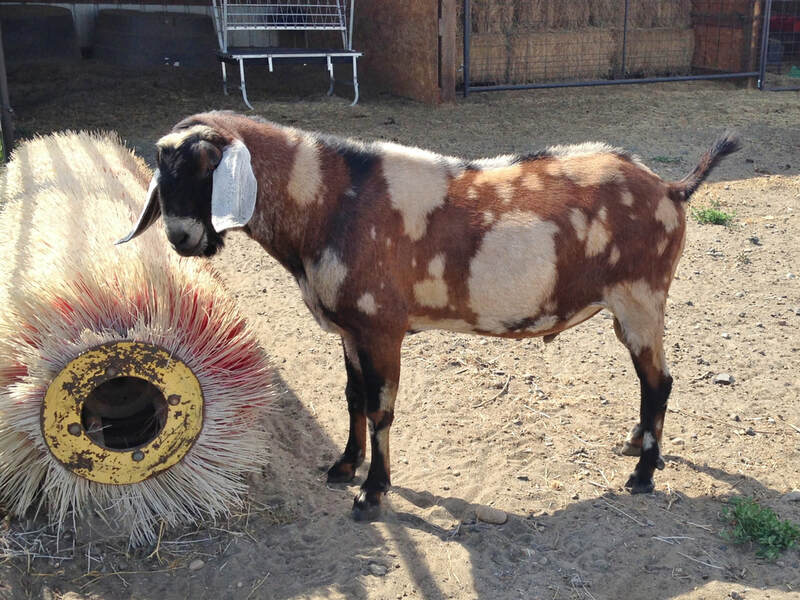 Sandee is our favorite little goat here at Laz E Acre. We are so excited to add Sandee to our herd here at Laz E Acre. We made the long drive back to Wisconsin in May 2017 to pick her up along with a buckling. She is everything we could have hoped for. Her personality has no equal even among all of our own very friendly goats here. She is growing out beautifully and we have waited a long time to get some of the wonderful milk lines from Green Gables. We know she will add the beautiful, well attached, very correct udders that Green Gables does are known for as well as the ability to have a long productive milking life. 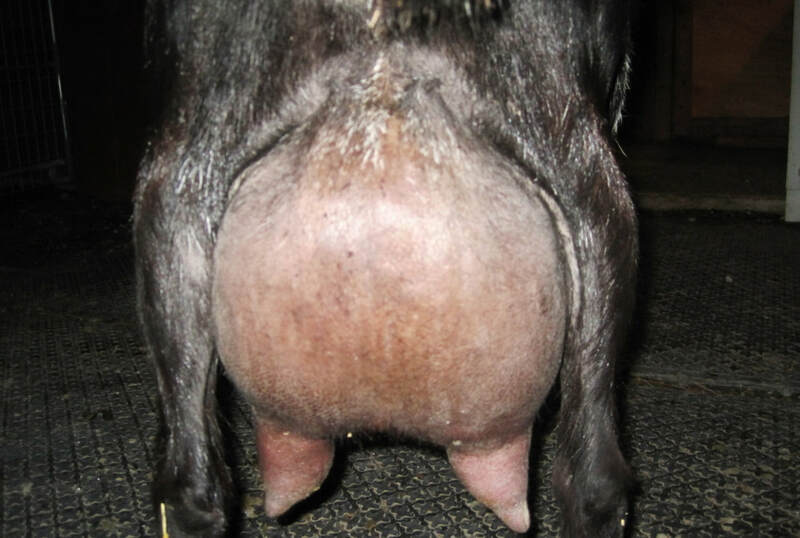 Just look at the pictures of her dam's and grand dam's udders below! Thank you Eliya for letting us have this lovely girl and for all your help. Sandee's Dam's beautifully correct and well attached udder. "Lizzie" has a gorgeous face and ear set. Lizzie is just a beautiful doe. She has such a sweet personality and is one of the most feminine does on our place. Her super long wide ears were so apparent at birth that we wondered if she was going to grow into them. Her dam had a lovely and very correct first freshening udder. We have great hopes of getting another nice udder from this girl as well. Lizzie at 2 months old.